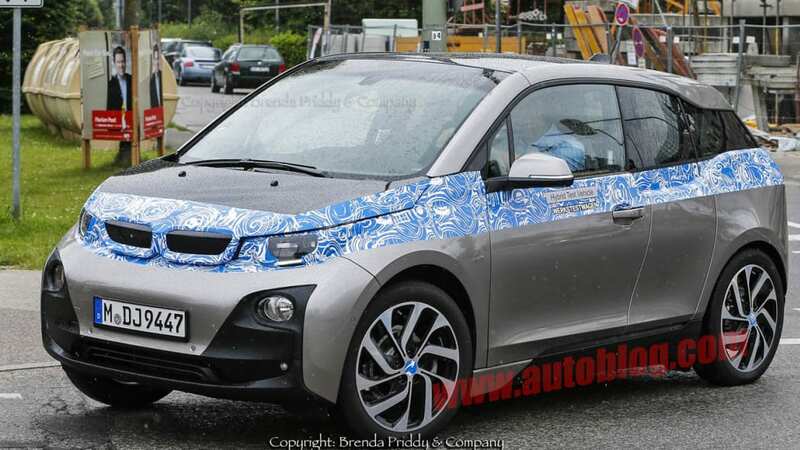 While in Germany at the first early pre-production drives of the hotly anticipated BMW i3, BMW people finally hinted at a price ballpark. Numbers being tossed around by pundits have actually been pretty close to what BMW is discussing internally - between $35,000 and just over $40,000. We have been assured now that the base price, should one choose to buy and not lease in the Euro zone, is just over 35,000 euro, with some big taxes included in that price. In the US, the starting price for the fully EV plug-in version should be $34,500 or right thereabouts. 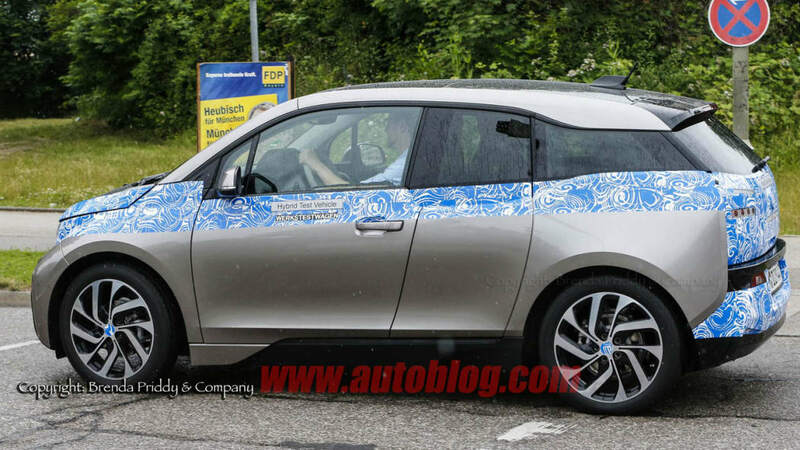 In addition to new pricing, we've also gotten our best-yet look at the i3, with the freshly uncovered spy shots you see here. 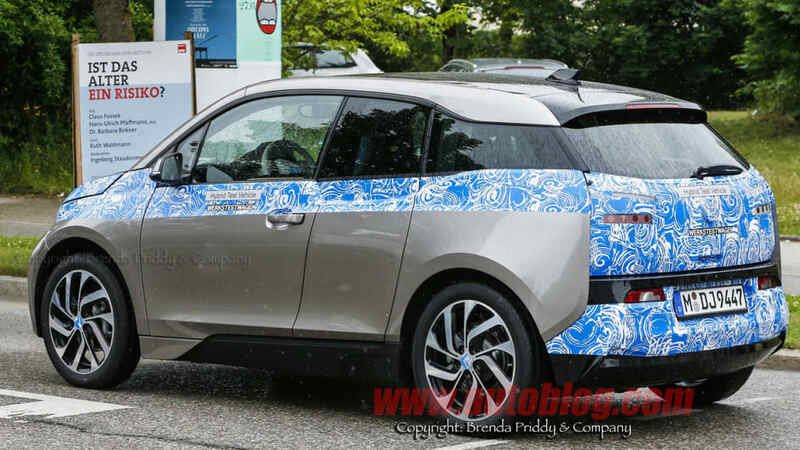 European deliveries begin in November of this year for the fully electric version of the rear-wheel-drive i3 with 168-horsepower and 184 pound-feet of torque. The e-motor mounted over the rear axle is supplied with energy by the 22-kWh lithium-ion battery pallet under the passenger compartment. Recharging happens in any of three ways: public or personal garage plug-in charge station (garage version not included in the price), the onboard system's Eco Pro and Eco Pro Plus modes that add resistance to the drivetrain in a type of rolling brake energy recuperation, or through the normal brake energy and off-throttle coasting regeneration more common to EVs. Range on a full charge of this drivetrain is said to be upwards of 124 miles under hyper-miling conditions in Eco Pro+ mode. 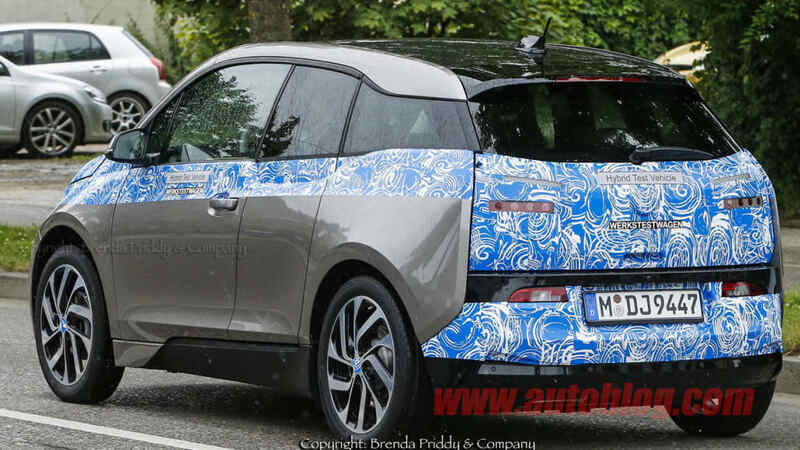 Perhaps the best bit of news is that the alternative, range-extending, two-cylinder 600cc engine supplied by BMW Motorrad for the hybrid version of the i3 – mounted in the rear together with the e-motor – will add only 2,000 euros in Europe and about $2,000 in the US. This is a range-doubling solution that could have brought a much higher price gouge, so thank you, BMW. 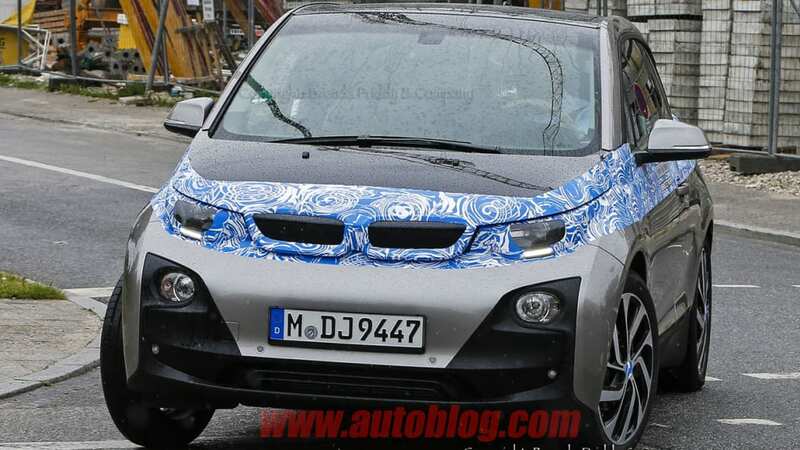 The hybrid e-drive i3 version arrives a couple months after the full-EV launch version. Remember that, unlike the very similar system for the Chevrolet Volt, the system in the i3 supplies no mechanical torque to the driven axle and is only used as a generator (a system BMW first used last year in the 1 Series-based Active E). The US is seen as the clear number one market for the i3.